An exhibit that introduces its audience to the rich culture of the Eeyou through the traditional way of travelling. Through sensory immersion, visitors will be introduced to the vast territory of Eeyou Istchees, Land of the Cree and come to understand that walking teaches values such as building strength, endurance and respecting the many teachings of our Elders. The exhibition contains approximately 150 artefacts selected to demonstrate the many facets of walking in our culture. 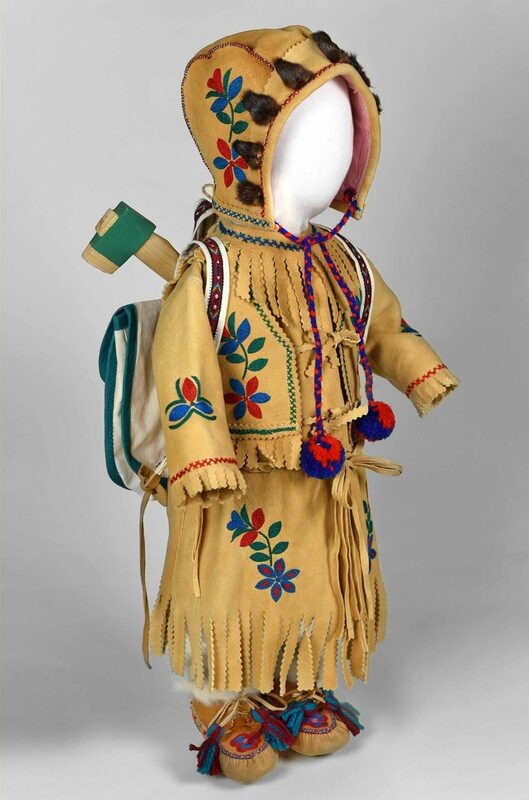 Everyday objects from snowshoes, moccasins, parkas, tools for hunting and trapping, mittens to intricately decorated ceremonial outfits are on display. “Audio, video and photographs reveal the sights and sounds of our land and our people. Compelling artwork by contemporary Cree artists is featured throughout the exhibit, illustrating another mode of creative expression in our cultural identity. Culture Trove Inc. is located in the territory of the Anishinabewaki and Huron-Wendat.